Have a despicable Christmas with the Minions! 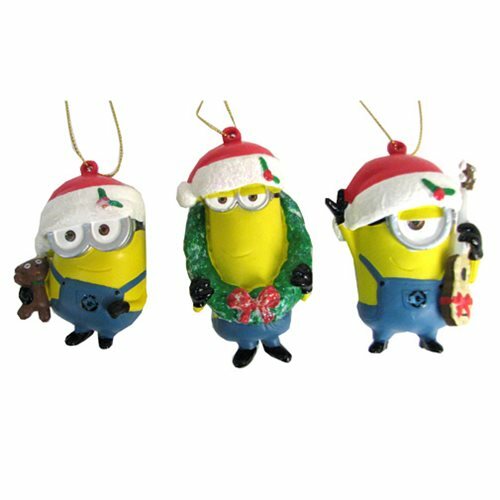 This Despicable Me Minions Figural Ornament Set includes some of your favorite characters from Despicable Me and Minions as adorable little Christmas ornaments. You could get Minions carrying wreaths, violins, or teddy bears! Each ornament measures approximately 3-inches up to 3 1/2-inches in height. Ages 13 and up.